Reasons that drive Children to engage in conversations !! We all know how children can be noisy and loud at times. So loud that it could get on their parent's nerves. But there is also a time where young parents can’t control their excitement as they hear their little one’s first words. But then again as the child gets older, it endless hours of asking questions, back answering with unexpected comebacks, honest and sincere comments about things that can make you go a little mad. Counting is all part of a Child’s learning process !! Children have several reasons to engage in conversations. In this article, take a look at two studies that have found interesting reasons as to how a child takes part in a conversation either with their friends or even with themselves. Preschool Kids performed better when they talked to Themselves !! Some of you parents out there are probably worried sick regarding your children talking to themselves, well here is some news to calm you down. According to a study, parents need no reason to be worried even if their pre-school kids talked by themselves, in fact parents should encourage the kids to do so. It was found that children performed much better on motor tasks when they talked to themselves out loud rather than did when they were silent. According to a researcher, young children often spoke to themselves as they went about with their daily activities. Also, parents and teachers should think of this particular behavior of theirs as something that wasn't normal or bad. Instead, they should try listening to these little personal speeches of kids for it could be a fantastic window do dive into the minds of children. The study titled,’’ Should I let them talk ?” involved researchers investigating the private speech and task performance among preschool children with and without behavior problems. They found out that 78 percent of the children performed either the same or better on the performance task when speaking to themselves than they did when they were silent. The study also showed that children with behavioral problems like those kids diagnosed with Attention Deficit Hyperactivity Disorder or ADHD tend to talk to themselves more often than children without signs of behavior problems. Researchers found that kids with behavioral problems or concerns needed more direction and control from adults. Instead, teachers would for no reason ask the children to be quiet in classrooms out of fear that this kind of unusual speech coming from the difficult-to-manage children could lead to problematic or troubled behavior. Stuttering isn’t always your child’s fault !! Choking, a serious problem for little Children and ways to prevent them !! This kind of private speech behavior of kids is very common and perfectly normal among children between the ages of two and five. As children begin talking to themselves, their communication skills with the outside world could also improve. This part was where the language came in. As these two communication processes merged, children could thereby use these private speeches in the transition period which is a critical period for children and could eventually shape them into more matured human beings. Researchers also conducted the first-ever study looking at the private speech patterns in children with autism. They found that high functioning autistic children talked to themselves often and that in the exact same way that non-autistic children do. Talking also improved their performance on tasks. According to researchers, children with autism have problems with their external social speech which led to psychologist assuming that their private speech would also be impaired. However, this study showed that this wasn’t the case and that autistic children used their private speech very effectively as a tool to help them, cope with their daily life tasks. The research was carried out by Adam Winsler, an associate professor of psychology at George Mason University. Kids prefer friends who talk like them !! Studies found out that children tend to prefer to be friends with other children who speak with the same local accent as they have ie. even if the children are raised in a diverse community or are even exposed to a variety of accents. According to a researcher, it was common knowledge that adults unconsciously discriminated against other individuals based on the way they spoke. The study wanted to understand how this could relate to kids. Asking questions is all part of the learning process !! When should a parent start backing away from their child?? Previous research found that children as young as five years old prefer to be friends with peers whose speaking style was similar ti theirs. These preferences eventually became so strong that children could slowly start overriding references for friends of the same race. Researchers wanted to extend the existing research and explore whether regular exposure to a wide variety of accents would be able to change these preferences. 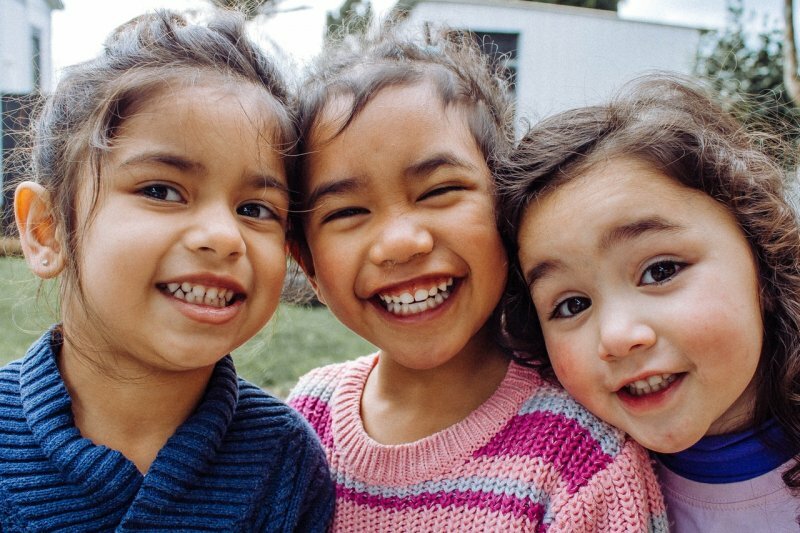 The researchers conducted three experiments with nearly 150 five and six-year-old English speaking children who lived in the Greater Toronto Area, an area known for having some of the most culturally and linguistically diverse metropolitan areas in the world. More than half of the residents there were born outside of Canada and almost 50 percent of the residents learned a language other than English from the time their birth as per the study. The First experiment: Researchers showed five and six-year-old children, pairs of childre4n on a computer screen. One child in each pair spoke English with the local Canadian accent and the other spoke English with a British accent. After listening to both the speakers, children were asked to pick which child they wanted to be friends with. The researchers also examined whether the number of exposure children had to different accents in their daily lives influenced these preferences. Given the diversity in the community, most of the children reported moderate to very frequent contact with non-local or foreign accents, even if it was because they lived with someone in their home or had a daycare provider or teacher with a different accent. According to researchers, even though the children were regularly exposed to a variety of accents, Canadian children still preferred to be friends with peers who spoke with a Canadian accent over peers who spoke with a British accent. The amount of exposure children had to other accents in their daily life did not seem to decrease these preferences. Next, the researchers wanted to see how children’s friend preferences would be affected if the children did the same task with children who were not native English speakers. Antihistamines can cause serious effects on your Health !! The Second experiment: Researchers used the same number of English-only speaking children and once again the researchers found out that most of the children reported having medium or high exposure to non-local accents. The scenario was the same, except in this case, instead of the British children the participants listened to the voices of children who were born and raised in Korea and had learned English as a second language. Upon comparing the results from both the experiments, the children showed a preference for their Canadian accented counterparts. However, the effect was even greater in the second experiment. The Third Experiment: The researchers finally investigated the possibility that children’s ability to differentiate between the two accents could have played a role in these preferences . The team predicted that the children would be better at identifying their Canadian style of English when it was compared with a Korean accent and that they would face more trouble distinguishing between the Canadian and British varieties of English. The children listened to the voices of the Canadian, British and Korean speakers used in the first and second experiment. After the voices were played, the researchers asked the child the following questions like, who talked like them, and whether the children liked growing up in that particular place after which the children made their selections. Just like the researchers had predicted, children had an easier time differentiation between the Canadian and Korean and the British and Korean speakers. The most difficult comparison for the children to make was between the Canadian and British speakers. Researchers believed that this was because the children were better at distinguishing their local accent from a non-native accent compared with a more regional kind of accent. However one of the researchers cautioned by saying that just because kids had a preference for friends with similar accents, it didn’t necessarily mean that the children were biased against those children with non-native accents. Researchers concluded by saying that it was possible that the preferences that were seen in early childhood could be driven more by familiarity than a dislike for people who spoke differently. The study was also an important step towards understanding the complex relationships that existed between exposure and preference in early childhood and how those preferences could translate into biases in adulthood. The research was carried out by Melissa Paquette Smith , PhD from the University of California, Los Angeles.